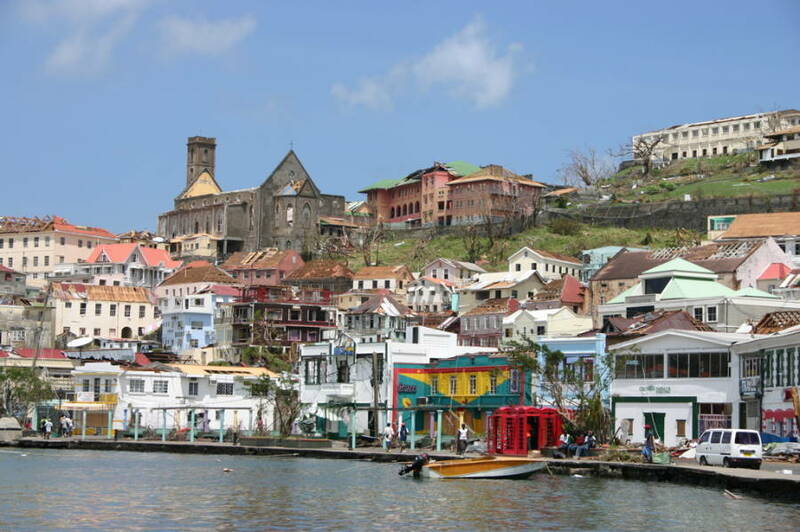 Hurricane Ivan proved that September is truly a month to “remember” as far as hurricanes in Grenada go. On 7 September 2004, Grenada received a direct hit from Hurricane Ivan, a category three hurricane that left the island totally devastated. For those who remembered Hurricane Janet as the worst hurricane to hit Grenada in recent history, that memory was brought to life, and all agree that Ivan surpassed it by far in its destruction. The relatively small death toll of 34 people, compared to the 147 who died as a result of Janet in September 1955, was probably due to the improved construction of houses and communications. As the hurricane approached, the country appeared unprepared for what was to unfold. For 8 hours the islands were pounded with 120 mph (193 kph) winds that left most trees leafless and bent or broken, and numerous buildings levelled; between 80% to 90% of the standing buildings lost their roofs or received heavy damage. The eye of the hurricane passed over St George’s and devastated the capital. Approximately 60,000 people were left homeless and without food, as shell-shocked Grenadians tried to cope with the catastrophic disaster that befell them. 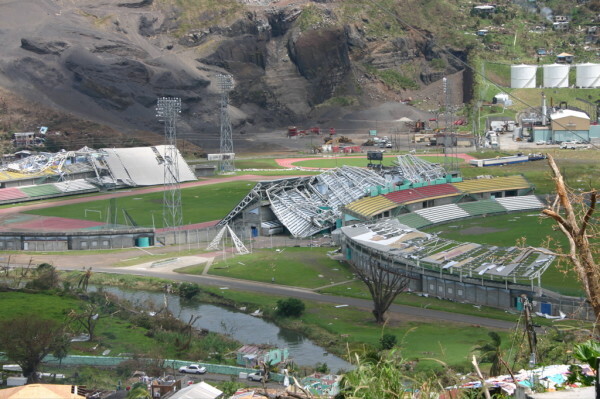 Most of the islands’ infrastructure was damaged or altogether destroyed, including telecommunications, electricity, schools, churches, the national stadium, roads and the water supply system. The islands’ economy was devastated, with agriculture and tourism both affected as tree crops like nutmeg and cocoa were destroyed and hotels damaged. It was the worst hurricane Grenada experienced in recent history and the worst the English-speaking Caribbean witnessed in over a decade. Hurricane Ivan caused damage in the Grenadines, Barbados, St Lucia and St Vincent, and went on to ravage parts of Jamaica, Cayman Islands and the south-eastern US. In its wake it left over 70 people dead, from Alabama to Venezuela. Ivan is also known locally as “Ivan the Terrible,” and “Roofus” for the countless roofs it destroyed. The total estimated damage in Grenada was just under US$1 billion, and it would be many years before the islands’ infrastructure will be completely rebuilt. Though numerous governments and international organisations responded immediately with relief, the UN reported in mid–2005 that the devastation wreaked by Ivan and how Grenadians were coping with the destruction was one of the ten underreported stories of the year. Ivan was followed nine months later by Hurricane Emily which did extensive damage to the northern part of the island and left one person dead. On this anniversary of the passage of Hurricane Ivan, there are still reminders of its destruction, most noticeably in the Anglican Church, Presbyterian Kirk, Parliament and Governor Generals’ residence that look much as they did on the morning of 8 September 2004!